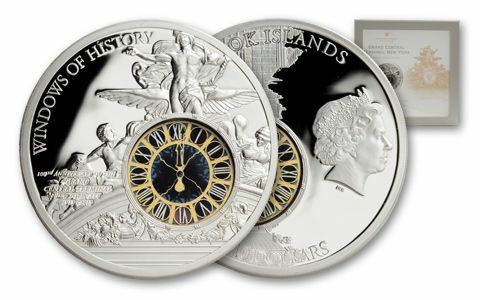 It's "High Time" You Caught this Grand Central Station Silver Proof! 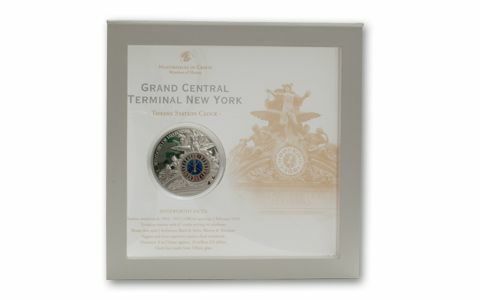 Struck to celebrate the 100th anniversary of Grand Central Station, this massive 2013 proof is 50 grams of sterling silver. 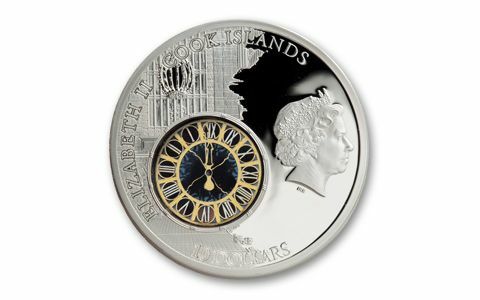 It features the interior of the station on the obverse and the Tiffany clock above the entrance on the outside of the station on the reverse. The clock face is a colored window inset that shows through on both sides - it reads 12:01, the exact time the station opened on February 2nd, 1913. The sculpture was designed in France and shows the Roman gods Mercury, Minerva and Hercules. 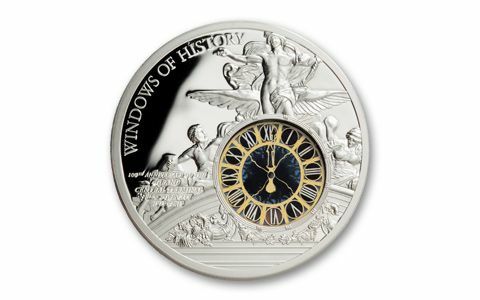 Collectors love these window proofs, and with only 1,913 struck, you'll miss your train if you don't rush to the pay phone at the end of the platform and order yours now!